I love the look of this steed! It was offered sometime last year for VIPs. Can we have a way to obtain this item again? I am VIP now to play on the Legendary Servers, and would really like to add this horse to my stables. I was thinking this was a pre-order perk for Mordor, but I'm probably remembering incorrectly. I do know it is an account item as it was granted for new toons I created on Anor. 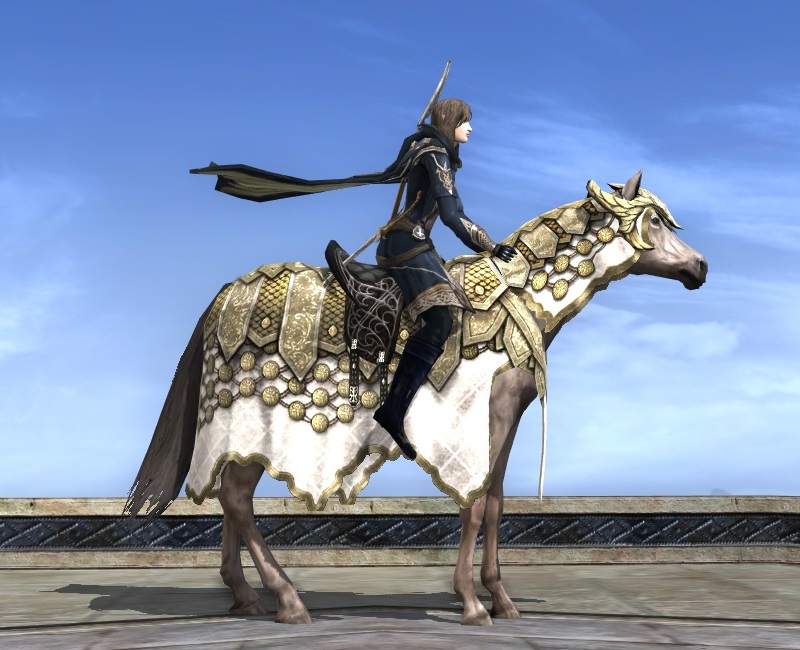 / Signed The Steed of the Eldar is indeed a beautiful mount; it was a VIP reward for those who were VIPs during a certain time period. I do own this horse and I want to second the OP's idea of offering it again to new VIPs. I have never been one that would refuse others the opportunity to have something just because I want to be one of the "special" few. I was thinking this was a pre-order perk for Mordor, but I'm probably remembering incorrectly. "As a thank you from Standing Stone Games, starting February 6th, active VIPs can receive a special gift! Simply sign in and log into a character on your VIP account before March 13th to get an Account-wide Steed of the Eldar for all your characters, forever! Not a VIP yet? Sign up between February 6th and March 13th and you are eligible for the gift too!"